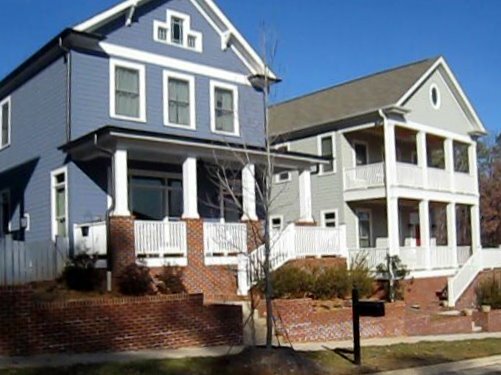 See all of the homes in the Winmore neighborhood that are for sale now! Why are the lots so small and narrow in Winmore? That’s a question I get often. The answer is that the town of Carrboro has clustering guidelines that new developments are required to follow to help protect the enviroment and keep much of the land as green space. The narrow lots have helped make the homes more interesting as builders have had to get away from the traditional box shape. So it isn’t a cookie cutter neighborhood and the homes are surprisingly large inside.